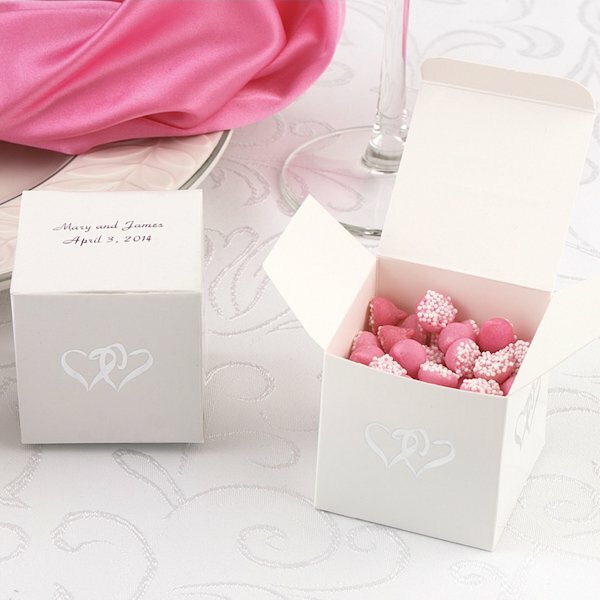 The heart design on these favor boxes for weddings proclaims your love and continues the theme to your reception! 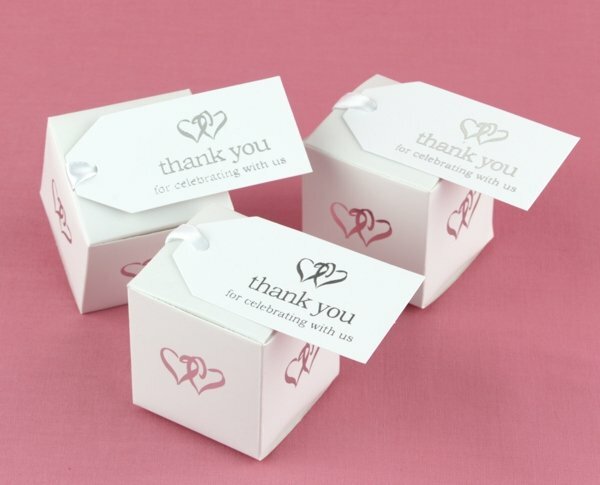 These 2" cubed white favor boxes feature a contemporary heart design on four sides (foil-stamped in silver). 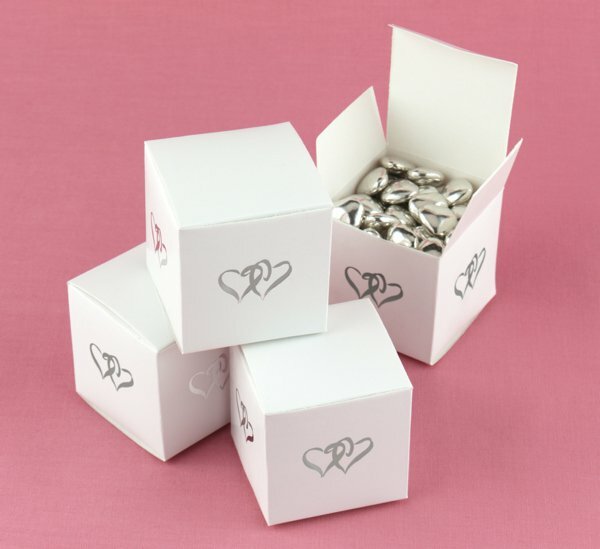 Sold in sets of 25 with a minimum of 3 sets per order. Fill with a sweet treat, small trinket, or embellish with ribbon and personalized stickers if you wish (sold separately).